Daha önce hiç olmadığı kadar farklı bir şekilde ebedî hayatın gerçekliğini hissetmek için… Âhiretin varlığını kesin olarak ispatlayan Risale-i Nur’un Onuncu Söz’ünü daha önce hiç anlamadığınız kadar bambaşka bir düzeyde anlamak, zevk etmek ve muazzam bir manevî hazla keyifle okumak için…. You can download our book in word or pdf format from the following web addresses: https://goo.gl/hNIUou or https://yadi.sk/d/09r41tL9ecYUA You can download the text of our book and its visual/interactive versions from the folder of “New Perspectives from the Treatise of Resurrection” in “English Books” section in this address. Besides, you can view or download the files of all of our books, and videos, texts and PowerPoint presentations of our seminars altogether or one by one, from these storage spaces where all of our work on Risale-i Nur (Treatise of Light) are uploaded. In Google Books and Google Play, it is not possible to open and view the links and videos just by clicking them. We suggest that you download the Pdf files from the address we provide before or from Google Books and read them. Our book is free. The whole book can be read in “Free sample” section. Submission of credit card information in Google Play is just a technical requirement in order to buy the book for “0” (zero) Turkish Lira. 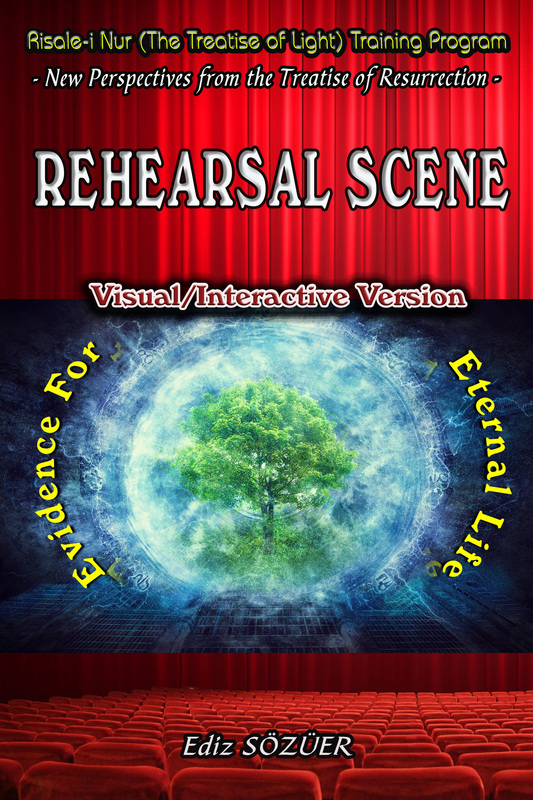 Reading and watching the written truths in a verbal and visual format (with additional explanations not provided in our book) enables you to better understand and feel them. In this way, you are following the most fruitful method in understanding the knowledge of faith, which cannot be understood just with intellect but rather are “felt truths”, and in opening the door for new perspectives for them. We keenly believe that with this method of reinforcement (Allah willing) highest level of benefit will be realized in terms of understanding Risale-i Nur and the universe. Tags: 10. 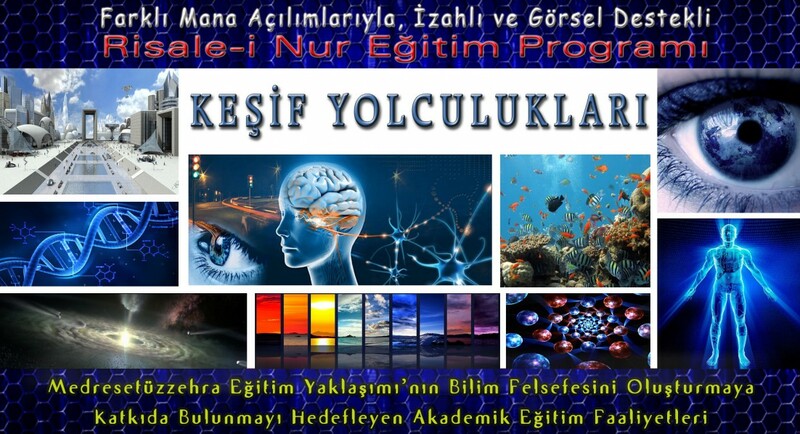 Söz İzahı, A Journey of Discovery for an Extraordinary Treasure: Risale-i Nur (The Treatise of Light) Training Program, Öldükten Sonra Dirilişin ve Ebedî hayatın Varlığının İspatı, çekim yasası, bediüzzaman said nursi, bilim, Evidence for Eternal Life, haşir risalesi izahı, izahlı risale-i nur dersleri, Journeys of Discovery, keşif yolculukları, New Perspectives from the Treatise of Resurrection, prova sahnesi, REHEARSAL SCENE, risale-i nur, Risale-i Nur (The Treatise of Light) Training Program, Risale-i nur dersleri, risale-i nur eğitim programı, Risale-i nur izah, Risale-i Nur izah metinleri, risale-i nur izahı, risale-i nur sohbetleri, Visual Interactive Book, yaratılış | Permalink.